Product #60620 | SKU 6-1003 | 0.0 (no ratings yet) Thanks for your rating! 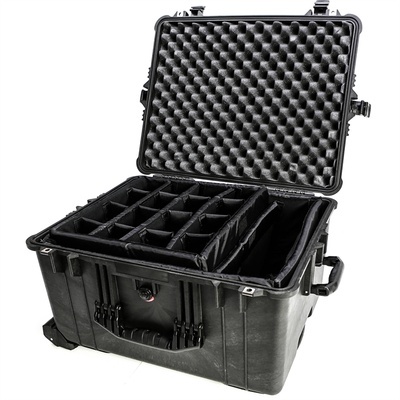 The Cinegears Pelican 1624 Case with Padded Dividers is a waterproof rolling hard case designed to store and protect your gear. The included padded dividers can be distributed within the case to fit your gear requirements.The large number of dividers can be broken into two layers to store a larger number of small items.